I thought a roundup of all my yeast rolls recipes would be helpful, especially for those of you who haven’t decided what variety you’ll be baking for tomorrow’s Thanksgiving meal. For those of you outside the U.S., my apologies. Just take notes for your next large family gathering! (note to self: Please remember to take a new picture to replace this blurry one from 2.5 years ago). 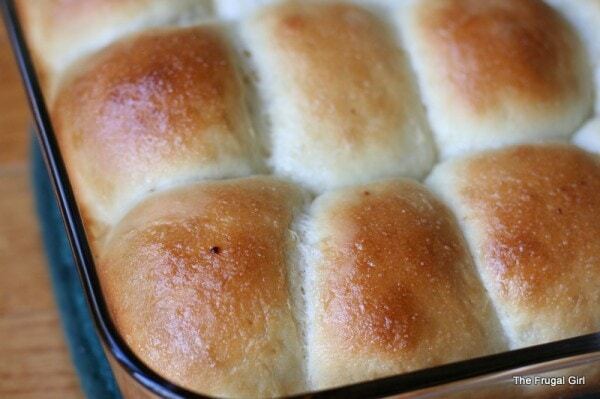 These are my very favorite rolls to make for gatherings. I think I like them a little better than Basic Rolls, but my hesitation is that the glaze on these is most delicious when the rolls are hot out of the oven. If I had lots of time, I’d be very inclined to make a batch of Basic Rolls and a batch of these to mix up in the bread basket. A ring of these is quite lovely to behold, so they might be a good choice if you have space to leave the ring intact when you serve the rolls. I forgot I’d even posted this recipe until this morning! These look a lot like a traditional dinner roll, but they’ve definitely got a different texture and flavor. Granted, these aren’t exactly a traditional choice for a Thanksgiving meal, but if you don’t mind changing things up a bit, these are a delicious option. I’ll be back tomorrow with my annual thankful list. « Tuesday Tip | Get up to $300 back on a new phone! Roll baking is my favorite part of the holiday’s. I love the smell of rolls baking in the oven. It is much better than the aroma of any scented candle I could light! Have a very Happy Thanksgiving tomorrow, and thank you for all your hard work creating and maintaining this wonderful blog! Just added the honey glazed rolls to my Christmas baking list! For once, I am not baking rolls or bread this year, as one of my guests has requested to bring them. I am making turkey, for the very first time (wish me luck!). And lots of other side dishes, of course, too. But my question today is: what do you eat for dinner today? All the planning and organizing for the holiday always leaves me low on dinner ideas for the day before. What are you all doing? If you use a Reynold’s Turkey Bag it will come out perfect every time! Also, if you roast your turkey breast side down the juices from the meat will self baste the breast meat making it moist and tender. Good luck and Happy Thanksgiving! I decided, inspired by you, to bake rolls for the first time this year, and will DEFINITELY be using one of your recipes. Thanks for the roundup! Thanksgiving was in October here in Canada, but I make some sort of yeast roll almost weekly anyways You have lots of great recipes, thanks for sharing them so often! OMG those cheddar twists were amazing the last time I made them! 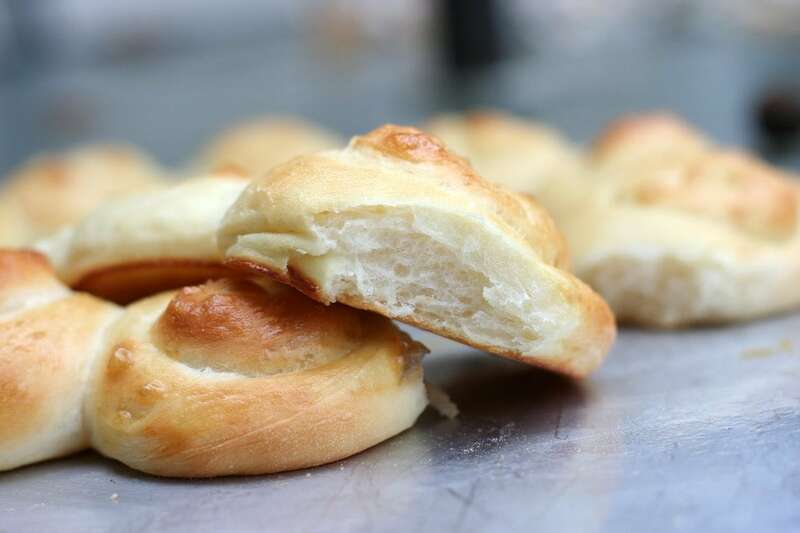 I still don’t feel like I have successfully tackled yeast rolls, yet I LOVE them so. 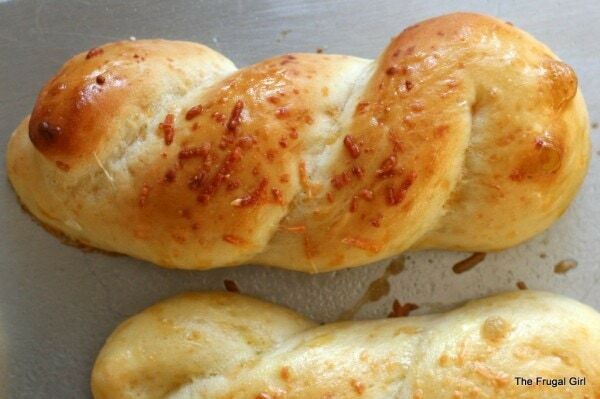 Thank you for all your yeast roll recipes in one place. Great idea. Kristen, you must have been reading my mind! I am bringing the rolls tomorrow for Thanksgiving dinner and was just thinking I should get started on those. Thanks for grouping them together. 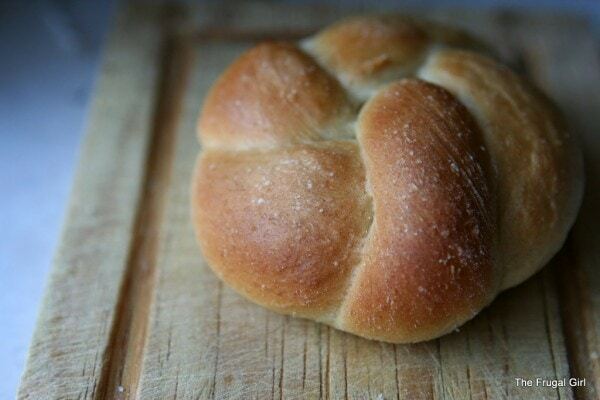 I’m going to make the basic yeast rolls in a clover shape. Time to bake baby, bake! Have a blessed Thanksgiving. Kristen – my mouth waters everytime you post bread recipes but I’m at almost 7000 ft. and I’m not good enough to play with recipes to get them to work. Do you, or anyone else, have tips for me to make them at high altitude? I literally have to stick to the recipe to make it work and when I research how to adjust I can’t find anything very specific. Thanks! I hear ya. We moved last year to 7200 feet. One of my goals has been to figure out how to bake bread at that altitude, but I�ve honestly been afraid to try! Let me know if you figure it out! Thanks I am gonna bake some for Turkey day. Have a great holiday. Yeast rolls it is! Thanks for the inspiration, and for the secret of the cloverleafs! I love, love, love your site. I check it everyday. I have to tell you that I have never seen such fantastic pictures of food. I look forward to the Wednesday posts especially even though I have never made anything from scratch. I live vicariously through your recipes and pictures of all the tempting breads and goodies you make. They are captured beautifully! My rolls turned out wonderful for Thanksgiving! Thank you for the instructions and beautiful pictures. So I was looking for a recipe to review this week and I also wanted homemade rolls, so obviously I picked these! Thanks so much for the great recipes! Hi Kristen! I just wanted to let you know I linked to this and a few other of your posts in my “Countdown to Thanksgiving” post today. It’s about baking and trying to decide what I want to bake for my family this Thanksgiving. Thanks for living out loud and being an inspiration! Just to clarify, the above comment is from me. My computer (for some inexplicable reason) remembered me by my old email and maiden name. Whoops! I am going to try your basic yeast rolls for Thanksgiving tomorrow. So lovely!! I am afraid (yes, afraid) of yeast recipes but yours make me want to try — so so delicious looking. Like looking in a bakery widow, only so much better, I’m sure. I love all your Wednesday baking posts! I would like add a roll to your list as it my youngest daughter’s favourite! Plus with all the preperations for Thanksgiving, it is a deliciously easy one too. 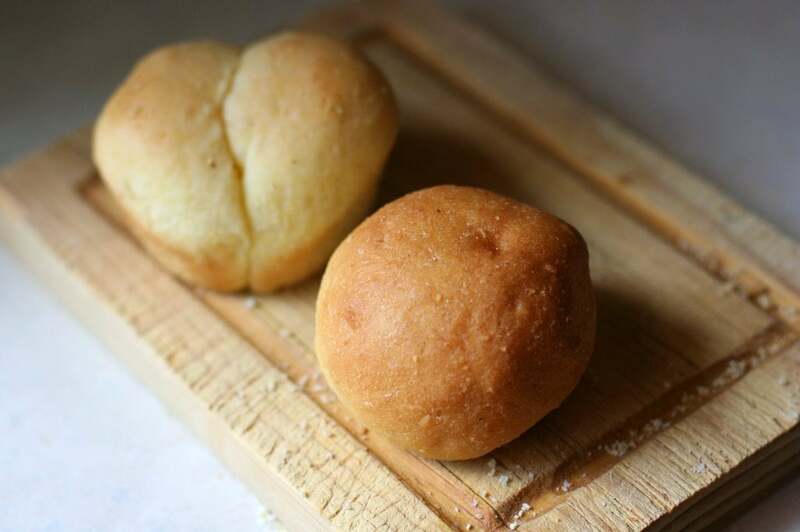 Your no-knead batter rolls, though they didn’t make it on the list, are perfect if you don’t have time to knead and shape rolls on top of all the other food to prepare. They taste amazing, much better than anything store bought! 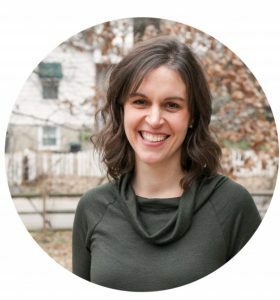 In the spirit of thanksgiving, I would like to share that, though I am a Canadian, I am thankful to you for your lovely blog. For all your inspiring posts, but in particular for the way you have taught me to bake bread for my family. I have baked so many of your your bread recipes over the years that I now know some of them by heart! You don’t know how much enjoyment I have recieved in learning to bake bread with your instructions and photos, much to the delight of my family and friends! I am very grateful to you for sharing your knowledge and for the frugally cheerful way you do it! Wishing you, your family and all a happy Thanksgiving. Aww, I’m so encouraged to hear that. Yay! I already baked bread for tomorrow, but mmmmm your rolls look good! I tried your honey glazed rolls a few years ago and they are now a holiday tradition at my house (and a popular contribution at workplace potlucks!) But sometimes I cheat and just add the glaze to the frozen rolls you have to let thaw and rise before baking. They are soooooo good. Oh my gosh, they all look so yummy! You’re making me hungry! Thank you!! I just tried to figure out an old family recipe and decided at the last minute that it was too complicated. I am definitely going with one of your recipes. They never fail! So, Kristin, that was my dilemma this year! I have made the honey glazed rolls the last couple of years and this year we drove to my in-laws a day earlier than normal. So I made the dough and did one rise, rolled the balls, drove them to Indiana, and now they’re in the garage (below freezing out there). I will glaze and bake in the morning. Have you ever tried that? I DID bring another batch of sourdough yeast rolls I made at home already, so if the honey glazed do something funky, we have more carbs, not to worry! Happy Thanksgiving! I am thankful for you! Thank you, Kristen! 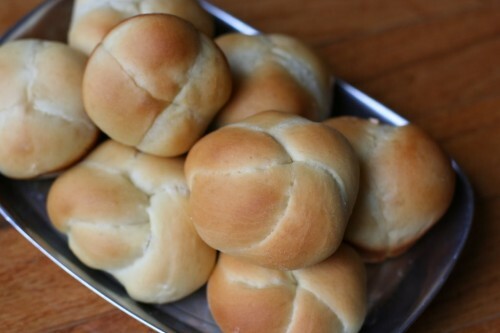 I kept searching “rolls” on your blog last night, so maybe you saw that . I made both the Honey-Glazed Pan Rolls and the Basic yeast rolls clover-shaped today for Thanksgiving (we live overseas). They were a hit, but I had more compliments on the basic yeast rolls. Thank you!!! Hmmm, no Thanksgiving day thankful list, which is quite worrisome. I hope all is well.